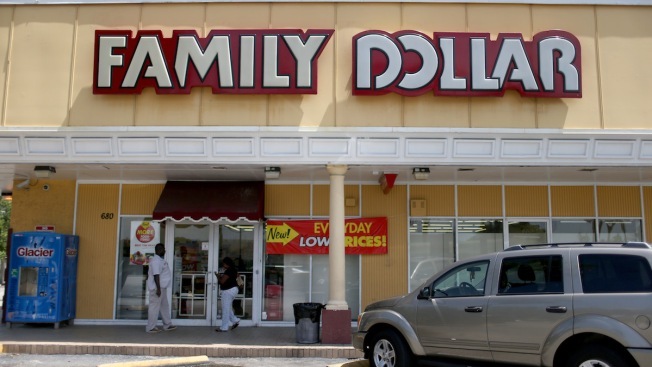 In this July 28, 2014 file photo, a Family Dollar store is seen in Hallandale, Florida. Dollar Tree announced Wednesday is closing up to 390 Family Dollar stores this year and rebranding about 200 others under the Dollar Tree name. The company said Wednesday that it closed 84 "under-performing" Family Dollar stores in the fourth quarter, 37 more than originally planned. The company has said that it will renovate at least 1,000 stores this year. The company said that it's seeking rent concessions from landlords at the 84 stores closed late last year and if it doesn't get them, it'll speed up the pace of store closings to as many as 390 locations around the country. Dollar Tree did not list which stores would be shuttering. As part of the rebranding, Dollar Tree said it also plans to install adult beverages in approximately 1,000 stores and expand freezers and coolers in another 400.